“Hearing aids should not be causing one’s tinnitus to worsen and if they do, a visit to the audiologist is necessary,” says Rivka Strom, AuD, CCC-A, Director of Audiology, Advanced Hearing NY Inc.
“The audiologist should check that the hearing aid is not set inappropriately loud,” continues Strom. “It is important that the audiologist perform a test called real ear measures (REM) to ensure appropriate settings of the hearing aid and to make sure the hearing aid never gets too loud to the point where it can exacerbate the tinnitus,” explains Strom. “Further, there is a condition known as hyperacusis which is highly comorbid with tinnitus. Hyperacusis is not a disorder that’s caused by anxiety or the so-called all in a person’s head. It’s a real condition, and it’s not just a mere dislike of certain sounds. Many people with hyperacusis do indeed suffer from tinnitus. So while plugging one’s ears at the sound of piercing screams from playing children or an ambulance siren do not reflect hyperacusis, plugging one’s ears to the sound of leaves rustling, the sound of two people on TV kissing, or the sound of a fan would be very suggestive of hyperacusis, or at least, selective hyperacusis. Sometimes, the noise of everyday sounds can literally cause ear pain in someone with severe hyperacusis. 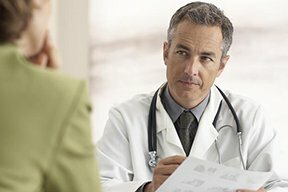 “If an individual with tinnitus has hyperacusis and it is not addressed prior to wearing hearing aids, it can appear that the hearing aids are worsening the tinnitus — when it can just be that having access to everyday sounds from the hearing aid could result in the experience of hyperacusis and possibly tinnitus,” says Strom.